We’ve always said that you should have a bit of physical gold in your portfolio (about 5%-10%, depending). And note that, by gold, we do mean gold, not gold miners. If you own the miners (and sometimes it can be a good idea to do so), then you should consider them as forming part of the equity chunk of your portfolio. The point of physical gold is that it provides you with diversification (it behaves differently from both bonds and equities) and it tends to be a “hard times” asset, whereas most of the rest are “good times” assets. And if you are low on gold in your portfolio, now might be a good time to top up. Gold is trading at its lowest level relative to the S&P 500 since 2002, notes Bank of America Merrill Lynch. In other words, compared to US equities, gold is cheap. More importantly, it is probably one of the best ways to defend against what the investment bank describes as the “ultimate populist policy” – the end of central bank independence. Central banks are meant to be independent, so that the vagaries of the election cycle don’t play havoc with the interest rate cycle. That’s the theory. So politicians are meant to keep their paws off. Obviously, US president Donald Trump doesn’t care about that. He has been very willing to note how unhappy he is about the Federal Reserve raising interest rates at a time, he says, when the US dollar is already pushing higher. Now, let’s be honest here. 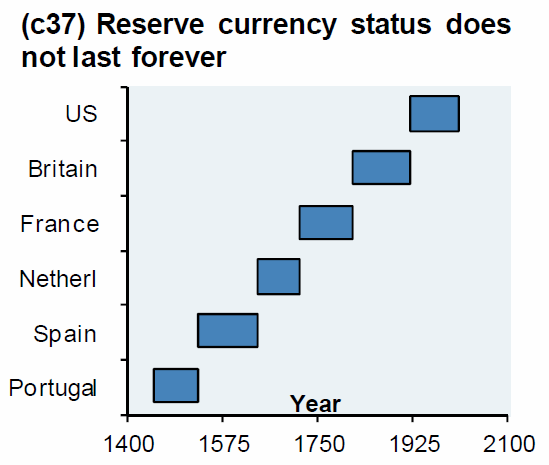 Central bank independence is a bit of an amusing idea in any case. It arguably hasn’t made much difference to monetary policy over the last two decades or so (the Bank of England became independent in 1997), because interest rates have been on a secular downtrend for that whole time. If there’s one economic policy the leader of your country is unlikely ever to object to, it’s falling interest rates. But now they’re raising rates. That’s a very different matter. People say that Trump is a “real estate guy”, so he likes low rates. Well, sure, I agree. But show me a politician who actually embraces higher interest rates. Why would they? Raising interest rates is no fun for anyone involved. You are shutting down the sweet shop. You are removing the punch bowl. You are pooping the party. The average politician, never mind Trump, is going to find it hard to stand by and silently watch that happen. A good scapegoat is hard to find, so why pass it up when the central bank gives you such an easy target? And central banks make a very good scapegoat right now. After all, despite their “political independence”, they’ve actually been pretty politically active over the last decade or so. Central bankers – as any Bank of England member will tell you – have been largely forced into making decisions that they’d rather not have made, all about redistributing wealth from one group of people to another. As BoAML puts it, “central bank policies of QE, NIRP, ZIRP have unquestionably exacerbated the gap between Wall St & Main St in past decade”. Of course, Trump is unlikely to come right out and scrap central bank independence. But he can still make life harder for Fed chief Jerome Powell and pretty much get his own way by making a big noise about it – similarly to the way he’s been able to undermine the global trading rules by simply bypassing them through using loopholes. As Katherine Greifeld puts it on Bloomberg, Trump has also spotted that China is allowing the yuan to fall steadily, and that the EU – under the auspices of European Central Bank boss Mario Draghi – arguably has a “weak euro” policy. This is nothing particularly new. A covert form of currency war has been going on ever since the financial crisis. However, in the old days, it was quite a gentlemanly form of warfare, where the protagonists took turns. For a few months, one country would enjoy the benefits of having the weakest currency. Then it would be someone else’s turn. Those days are gone now. With Trump getting shirty about trade, China has stopped trying to keep the yuan propped up (so as to lower the price of its exports). If Trump and China and the EU start trying to play “who can have the lowest currency”, then that’s another piece of the inflationary protectionism jigsaw puzzle falling into place. If all the world’s currencies are competing for bottom place, they can’t all win. But as one of the few currencies that isn’t beholden to a government for its ultimate value, gold is more likely than not to be a beneficiary of any escalation of the currency wars. – VIDEO: Italy €2.4 Trillion Debt To Create Eurozone Contagion and Global Debt Crisis? The post Physical Gold Is The “Best Defence” Against “Escalating Currency Wars” appeared first on GoldCore Gold Bullion Dealer.